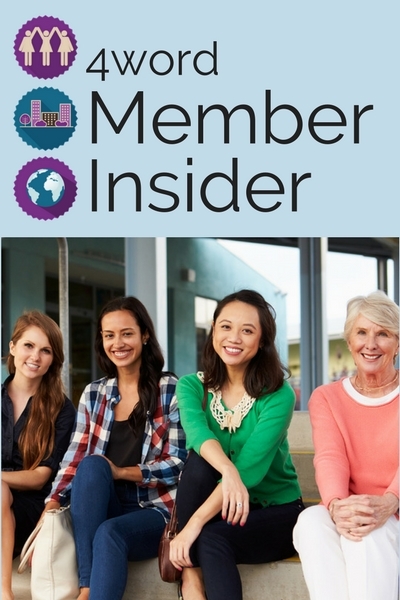 Become a 4word Member Insider and connect with a global community of Christian women in the workplace! 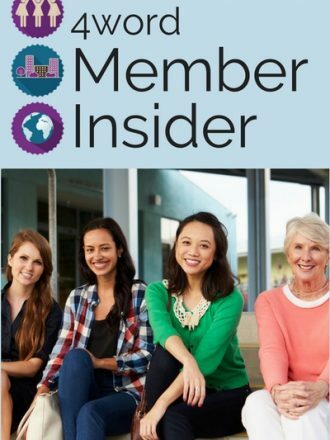 4word Member Insiders receive exclusive access to 4word content, discounts on events and products, one hour of FREE coaching and more! Your monthly contribution directly supports 4word grow and develop more resources for women in the workplace. We also offer a one-time annual payment of $100, Please click here for that option. Cancel any time with this monthly plan. One (1) hour of free coaching with a 4word Coach for all new members. Once a member, you will be sent a request for more information to best pair you with a coach. I want to sign up for national membership, I’m a co-leader if the Charlotte, NC group. Looking to feature a women’s group in Portland Monthly Magazine. Levia Partners is an Executive search firm located in Washington DC. Is there a group in Dallas or Arlington, Texas? Elevated Insights is a market research insights agency supporting the private sector, public sector, and social sector. We help organizations learn from their target group in order to take smart, strategic action.